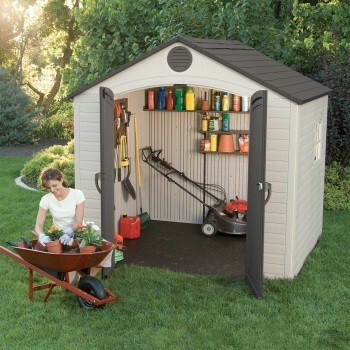 Lifetime 8x7.5 plastic shed is an apex roof garden shed, manufactured from high-density polyethylene (HDPE) with heavy duty, powder coated steel reinforcements. 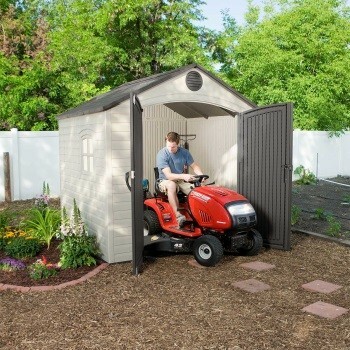 This shed is not only an attractive addition to your garden, but is the ideal solution for your outdoor storage needs. 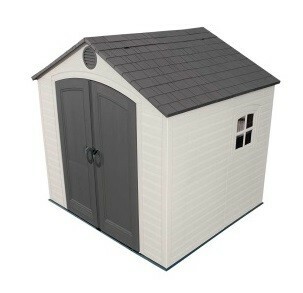 These sheds are at highly competitive prices. 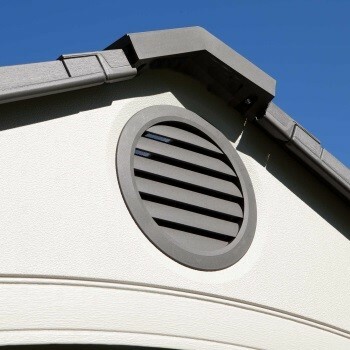 All Lifetime garden sheds have steeply pitched roofs for efficient water drainage, are very low maintenance and UV- protected to resist fading or cracking. 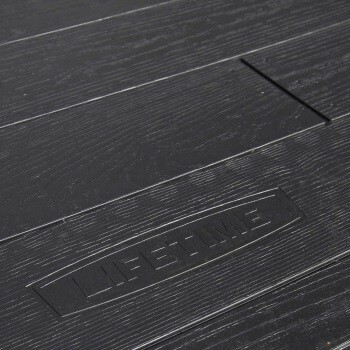 All of which makes Lifetime sheds a durable storage solution for a minimum warranty period of 10 years.